On Thursday afternoons we do drama at thumbs up. Over the last 3 years we have worked with lots of different forms of theatre, improvisation, playback theatre through to devised drama. Aranui formerly known as Park Road are a delightful day service as part of Idea Services Wellington. We have been working together since 2013. When I first started we developed a weekly drama program including members from Alpha another day service providing opportunities for drama . This is been incredibly successful with creating friendships and opportunities for song/instruments interaction with members of the group who previously declined to engage. John Paul and I present Friday morning music at Thumbs Up. It is a robust, playful presentation of music with movement and instruments. We tune into the group to create music that lifts and creates a jolly Friday morning. 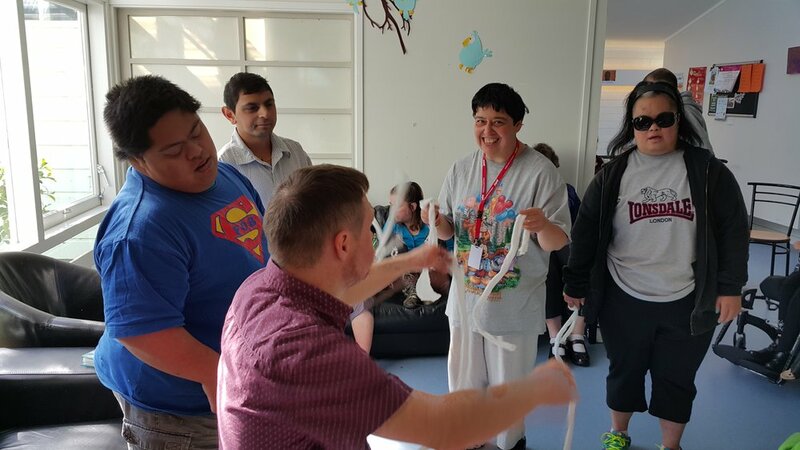 In 2014 with the support of Hutt City Council I ran workshops across the Hutt region running consecutively for two groups of participants. Community singing for 30's and under: ran for twelve weeks finishing with a collaborative performance at Thumbs Up in Petone. 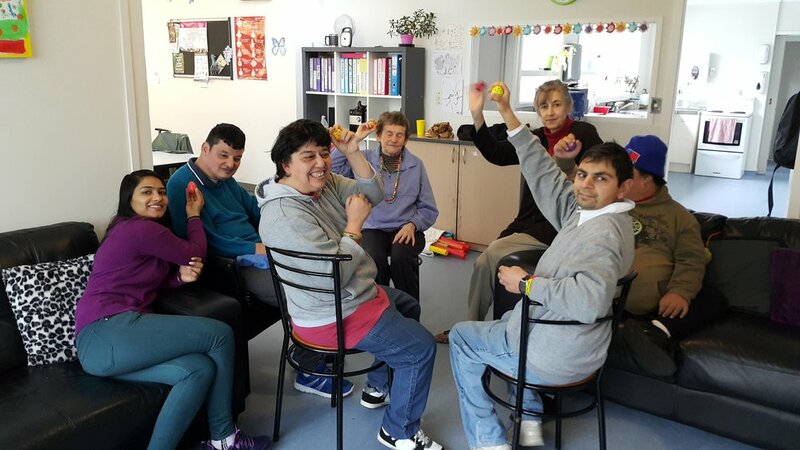 Agencies involved: Thumbs up and Hutt Valley Disabled Resources Trust. We jam packed the room with participants and sang our hearts out for an hour and a half, we dance, laughed and had scones. Agencies involved: Hutt Valley Disable Resources Trust, Idea Services Hutt including Valley Gardens, Arts on High and The Christie Centre. 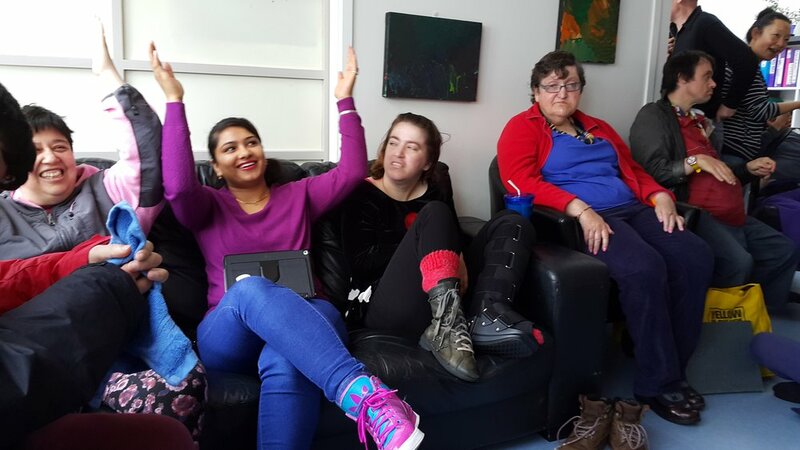 We were hosted at Hutt Valley Disabled Resources Trust and delighted in a morning tea before coming together to sing our learned repertoire as one group. Sister group to Alpha Omega Playback Theatre Company in the Hutt. Participants learn several short forms of playback theatre, learning how to improvise and play music via playback.